3 apr. Ogni mercoledì alle 8.40 sulle frequenze di Radio Città del Capo va in onda “C’era una volta l’America“, la rassegna stampa sugli Stati Uniti a cura del network degli ex alunni del Cispea, il Centro Interuniversitario di Storia e Politica Euro-Americana. La rassegna di questa settimana è a cura di Alessia Gasparini, giornalista freelance e collaboratrice del blog C’era una volta l’America. Mark Guarino e Mark Berman, Chicago voters set to make history with mayoral runoff election. 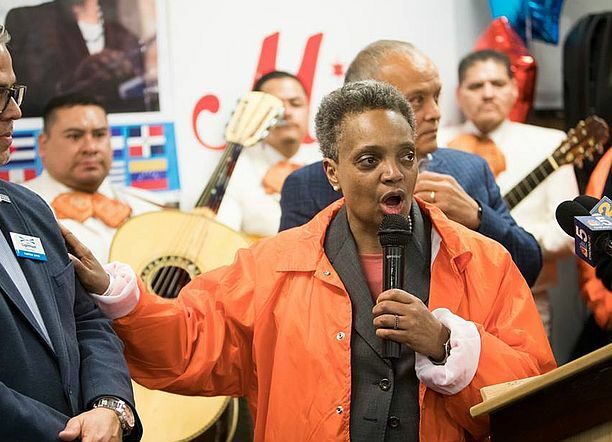 Julie Bosman, Chicago Votes on a New Mayor. Either Way, an African-American Woman Will Win. Sara Burnett e Herbert G. McCann, Lightfoot says Chicago mayoral victory means a “city reborn”. Matt Stevens and Sydney Ember, Joe Biden Says He Did Not Act Inappropriately with Lucy Flores. Katie Galioto, Second woman accuses Biden of inappropriate touching. Matthew Yglesias, The controversy over Joe Biden’s treatment of women, explained. John Wagner e Erica Werner, Trump punts vote on health-care bill until after next year’s elections. Aaron Rupar, Trump’s latest outburst against Puerto Rico, explained. Appear Only After the 2020 Election.